The acclaimed actress, teacher, singer and writer Rhodessa Jones of San Francisco ‘s Cultural Odyssey examines the African-American experience through songs and stories, reflections, biography, video and more from her repertoire. Supported by the Laney College Black Student Union and Delta Sigma Theta, Inc. The Oakland Tours Program presents a 90-minute walk in downtown Oakland highlighting African American leaders such as C.L. Dellums, Ron Dellums and Lionel Wilson. Poets of all ages – from 8 to 80 – share their work including published writers, award-winning authors and some reading their work in public for the first time. Music, dance and costumes have enhanced past performances as each participant shares her or his unique style. Those involved thoroughly enjoy the diversity of presentations in this setting. Presented by the Oakland Public Library. Return to the way of the Drum as a tool to build community, increase creativity, harmonize relationships, heal broken hearts and experience joy. This gathering is designed to bring diverse groups together. Participants will utilize the twin concepts of rhythm and sound as a way of raising awareness and consciousness for a rich experience of joy and peace. Drums will be available. Kokomon Clottey, author of Mindful Drumming: Ancient Wisdom for Unleashing the Human Spirit and Building Community, will facilitate this gathering. Presented by Attitudinal Healing Connection, Inc. and supports Arts in Schools. Lecture on the history of Blues and performance. Series held every Monday during Black History Month. Presented by the Bay Area Blues Society. Reception 6:00 p.m.; screening 6:30 p.m.; panel discussion 7:30 p.m.
Rachel Lyon’s and Jim Lopes’s documentary traces the fates of two Death Row inmates and exposes the factors that influence who lives and who dies at the hands of the state. Part of the ITVS Community Cinema Series featuring previews of films scheduled for broadcast on Independent Lens. 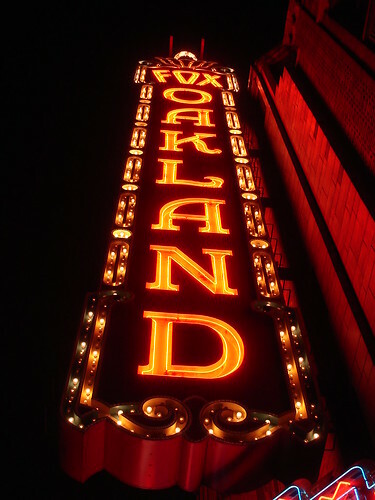 Produced by the City of Oakland Film Office , KQED, ITVS, the City of Oakland and the museum. Lecture on the history of Oakland Blues and performance. Series held every Monday during Black History Month. Presented by the Bay Area Blues Society. The African American Genealogical Society looks at the early history of Bayview/Hunters Point. Before, during and after World War II, the shipping industry shaped the area’s identity and the people, churches, schools and businesses that thrived there. The family history of Sam Jordan (a.k.a. “Mayor of Butchertown”), one of Bayview/Hunters Point’s most celebrated African American citizens, will also be examined. In collaboration with the museum’s Docent Council. Robert Johnson will talk about his book and his “movement” to “wake up Black America”. Presented by the Rockridge Branch of the Oakland Public Library. Lecture on Blues Today and Yesterday and performance. Series held every Monday during Black History Month. Presented by the Bay Area Blues Society. 10:00 a.m.; repeats at 11:30 a.m. Renowned storyteller, actor, writer, director and griot Marijo presents African folktales, American stories and instruments from Africa that have now become part of our musical landscape. This interactive performance will entertain audiences of all ages. The African American Quilters Guild introduce the art of quilting and provide the supplies, guidance and inspiration to get started. In addition to displaying its work, the guild helps others develop quilting skills. Presented by the Oakland Public Library. In celebration of Black History Month, this seminar will help inform Bay Area and West Coast musicians on how to advance their musical careers. Topics will include understanding contract law, how to publish your songs and how to market yourself. The seminar will have award-winning panelists who will share the many aspects of the music business. Presented by Bay Area Blues Society and East Bay Law School . Lecture on where the Blues came from and performance. Series held every Monday during Black History Month. Presented by the Bay Area Blues Society. 7:00 p.m. to 1:30 a.m. Awards show honors blues, jazz and gospel artists for their contribution to America ‘s music. Evening includes live performances and after party. Presented by Bay Area Blues Society. This entry was posted on Wednesday, January 31st, 2007 at 1:08 pm. It is filed under Special Feature. You can follow any responses to this entry through the RSS 2.0 feed.